Wendy Summer made her first trip to Afghanistan in April, 2006 to mentor women entrepreneurs and fell in love with the country and its people. After purchasing finely embroidered tribal coats at a local bazaar, she decided to start a business that showcased the exquisite embroidery produced by Afghan women. Since then, she’s ventured afield from Afghanistan to work with skilled artisans in neighboring countries who produce exquisite items of cashmere, silk and other fine materials. 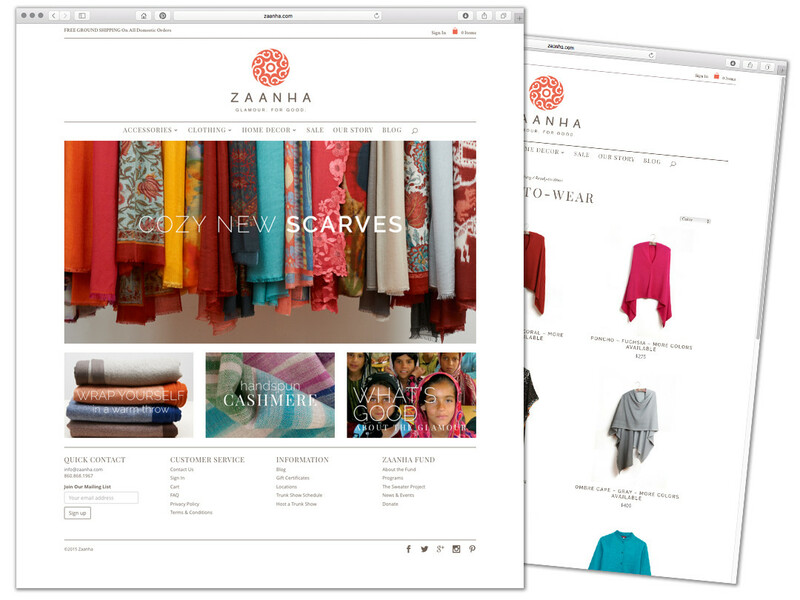 A portion of each ZAANHA sale is donated to the ZF. Project Description: Responsive, Commerce Website.